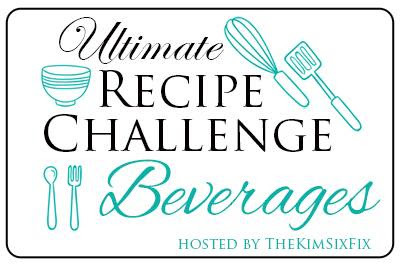 I haven't participated in The Ultimate Recipe Challenge for a bit but when I knew this month was drinks, I was all in! I cannot wait to see what all everyone came up with this month and add some new items to my cocktail repertoire! This simple, colorful, and horribly named cocktail probably ended up being one of my favorites to date. It was fun to put together and truly only took about ten minutes of prep time. It was also delicious. I used a few of my favorite juices and you can easily swap them out to mix and match for any gathering. 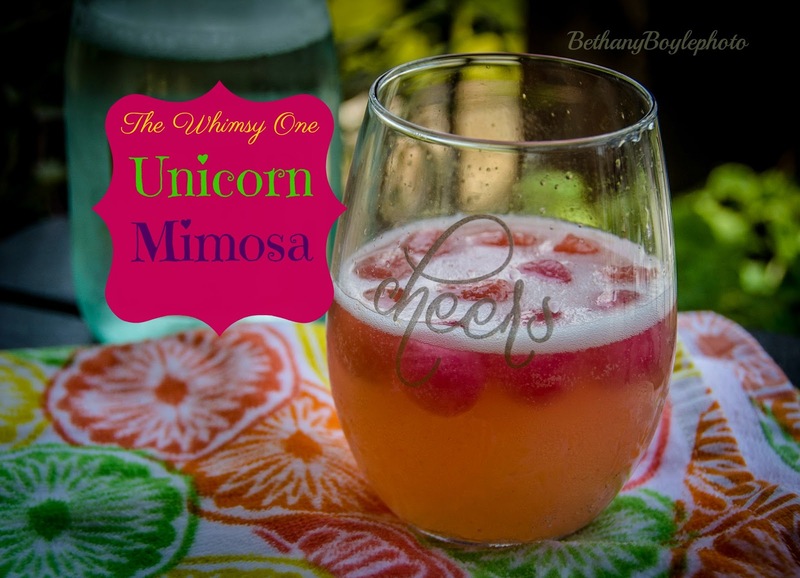 I am a fan of mimosas in general and this tasty version is perfect for summer. You can also call this whatever you like. I am not going to pretend here, the hardest part of cocktail creating (at least in my case) is not coming up with a delicious libation, nope that part is fun and relatively easy. It is naming a creation that is often the most daunting part aspect. I have come up with some fun and catchy ones prior ( naughty southerner is my personal favorite) but this particular concoction left me flumoxxed. I decided to play by 2017 rules and well, colorful and full of champagne basically screamed "unicorn" to me. You know what the best part about this tasty beverage is though? It doesn't care what you call it. So just drink up and enjoy! For this particular version, I used guava nectar, apricot nectar, and blood orange juice. I froze them the night before and they don't fully freeze like water so they melt down a little easier. I want to try it with peach puree, mango, and OJ next time. I have also made these with fun shaped ice trays, You truly can make these any flavor and any theme. Also, if you want to make this kid friendly, just top with sparkling cider or grape juice! I used 1/2 cup of each juice and they yielded about 10-12 small ice cubes each. You should be able to find these in the international isle of your grocery stores. In a glass, place 5-6 ice cubes and top with chilled champagne or prosecco. I think they taste best if you let them melt down for a minute or two and let the flavors meld together. And as always, thanks to the fabulous Bethany Boyle for taking photos and being my taste tester! 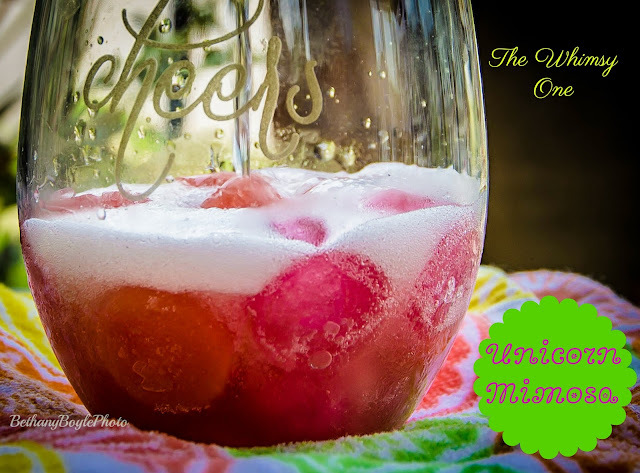 1 comment on "The Unicorn Mimosa"
There is only one word that can describe this cocktail and that is 'Heavenly'!It is also really easy to make,and the one can find all the ingredient's at any shop or store.Thanks for sharing such a tempting cocktail recipe with us!